Shopping for an aromatherapy oil diffuser can be quite confusing, I’ve never purchased one and there are no major brand names that makes these kind of gadgets, so quality could be an issue. 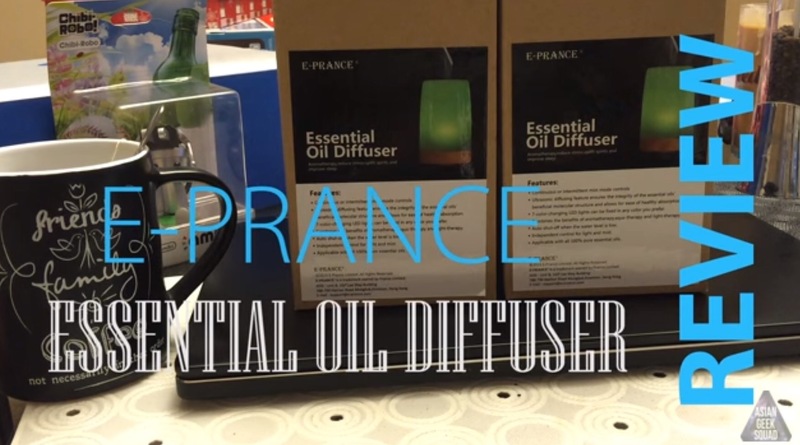 With EPrance Oil Diffuser, you will get a product that works as advertised. In the box, there are only three items, the oil diffuser, wall plug and instructions. Setting it up is quite easy, you just plug it in (from the bottom of the device), and then unscrew the outer shell, open the inner shell, fill it with water and aromatherapy and then replaces both of the covers and turn it on. There are only two buttons on the oil diffuser, light and mist, both self-explanatory, you can tap the light button to select one of different lights you would like to emit and the mist button for the device to start mist-ifying. One major function I wish this had was a timer. I can’t imagine having this run all day and night, so a timer would be nice to use the oil diffuser and have it stop at a specific time. 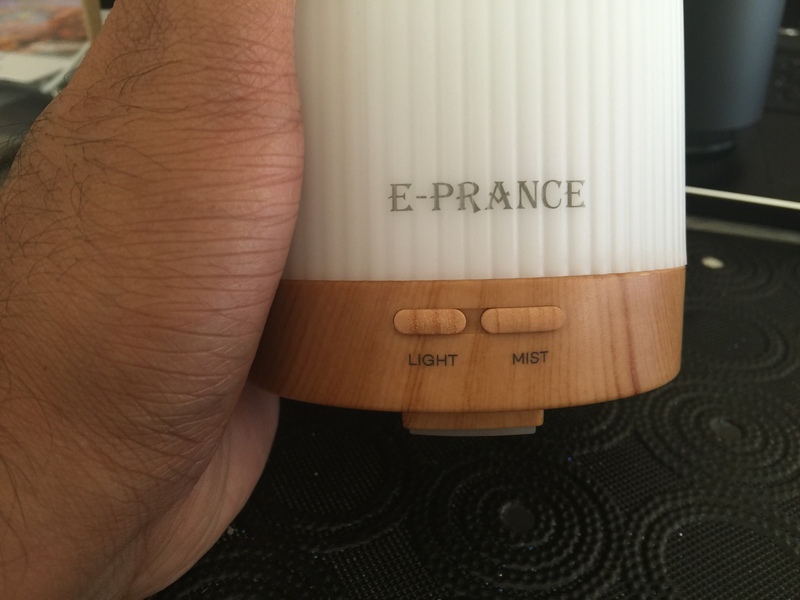 I found this oil diffuser from EPrance, so be functional, works as advertised and will probably last you a long time, I wish that the outer shell has grooves for opening it and sealing it tightly, but for an affordable product like this, certain shortcuts can be justified.